I took advantage of Indigenous Peoples Day today to get some birding across Queens done. On my voyage of discovery I hit quite a few parks and by early afternoon I had had enough. But I still pulled into the parking lot at Meadow Lake in Flushing Meadows Corona Park where I figured I would do a quick scan of the lake before getting home for a nap before the rest of the family got home. Instead, as soon as I got out of the car I spotted a striking starling. Wait, what? A striking starling? As in European Starling? Yes, indeed, a lowly starling caught my attention because its entire body was white which was nicely contrasted by black wings. Sadly, before I could get my digiscoping rig set up the whole flock it was with took off. I tried to follow them but they flew way off into the northern end of the park. But then I was distracted by some intriguing chip notes and discovered a small flock of wood-warblers foraging in a fenced off area! 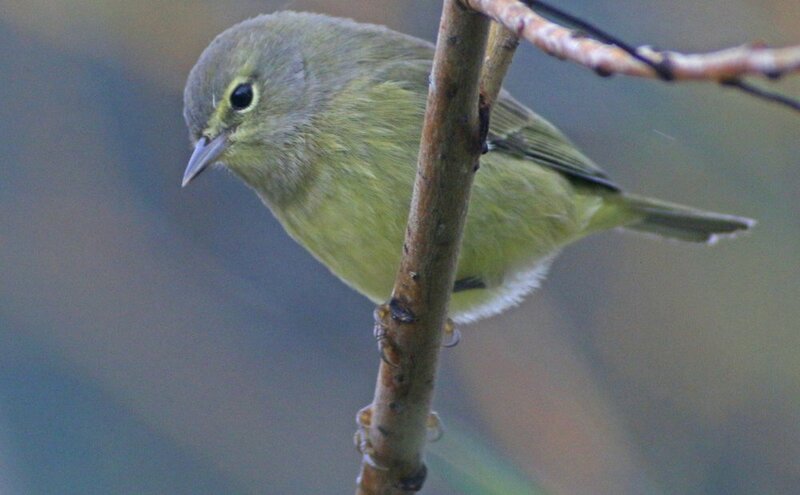 The first bird to catch my eye was the Yellow Warbler in the pictures above and below. An October Yellow Warbler is a late bird so once I got a good look at it I paused to write a quick note about it in eBird. 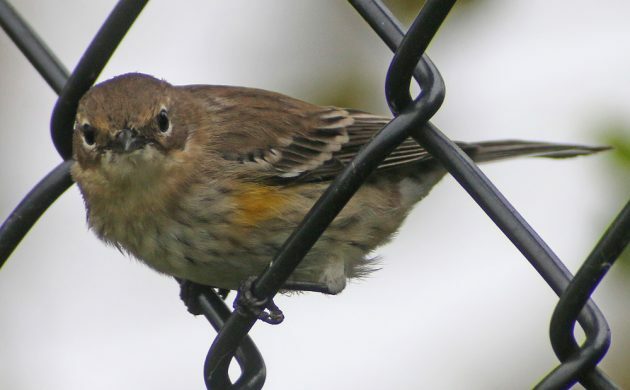 Then I started paying attention to the flock some more, which was mostly Yellow-rumped Warblers, much more expected in Queens in October. Though they are common I can never resist trying to photograph yellow-rumps. To make it easier I spished softly for a few seconds and much to my surprise my spishing was amazingly effective and multiple birds flew to the fence to see what all the fuss was about! 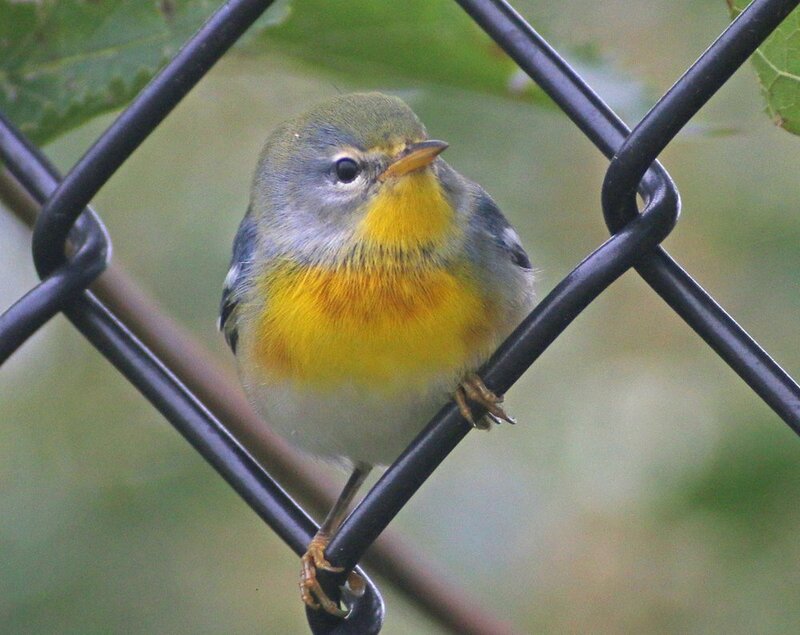 Well, hello Northern Parula! You are a bright bird to see on a dull, overcast day! Butterbutts can’t resist a good spish. Yet another reason I love them. This Blackpoll Warbler did briefly land on the fence but the shot I got of it there was not in focus. 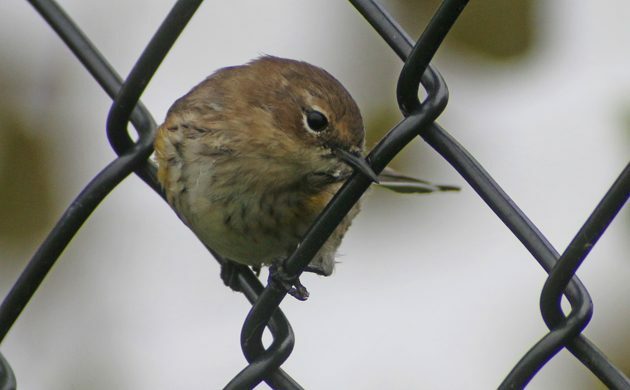 So this warbler is behind the fence rather than on it. 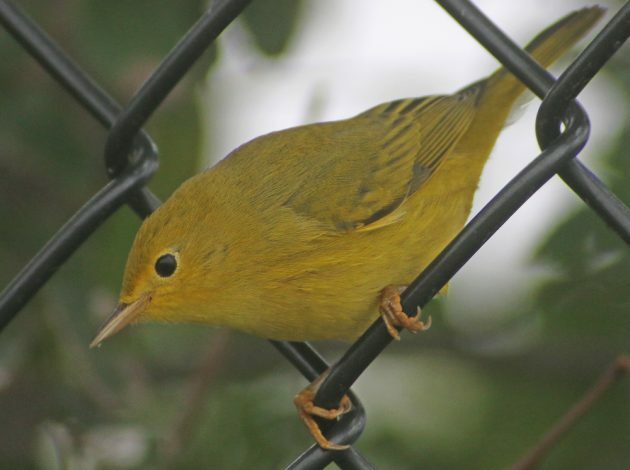 Then, much to my surprise, a second Yellow Warbler popped up from the brush! One in October is good, two is weird. 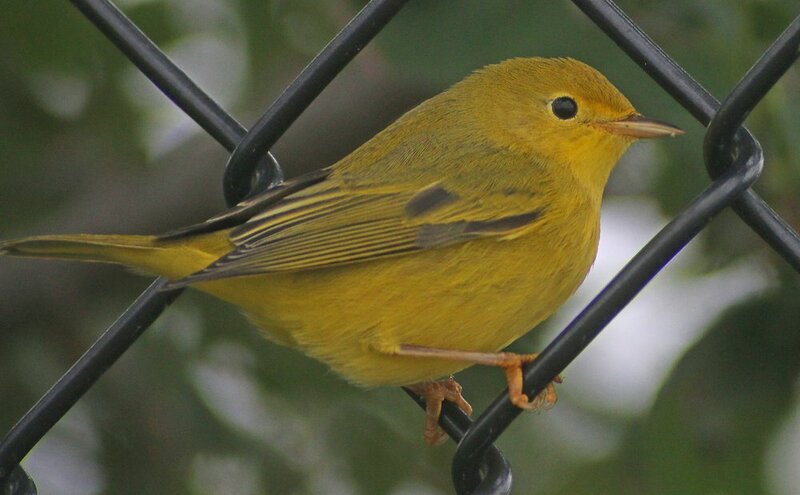 But my success in finding so many wood-warblers in such a small area convinced me to walk around all of Meadow Lake and I was amazed to find two more Yellow Warblers on my walk, bringing my total to four! Not only that but I found a Northern Waterthrush as well. 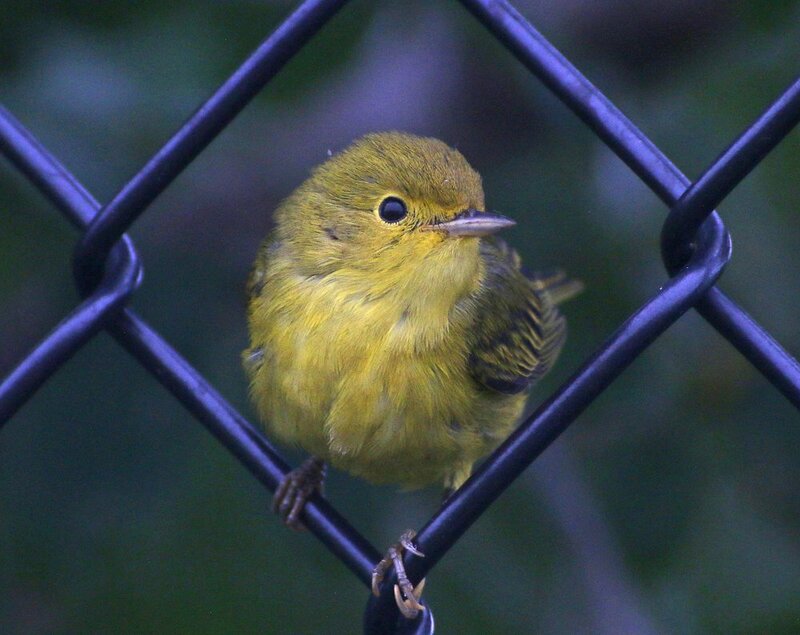 The second of my four Yellow Warblers. By the end of my walk around Meadow Lake I had hit double digit wood-warblers for the day, with Tennessee and Orange-crowned Warblers at Baisley Pond Park as additional highlights. 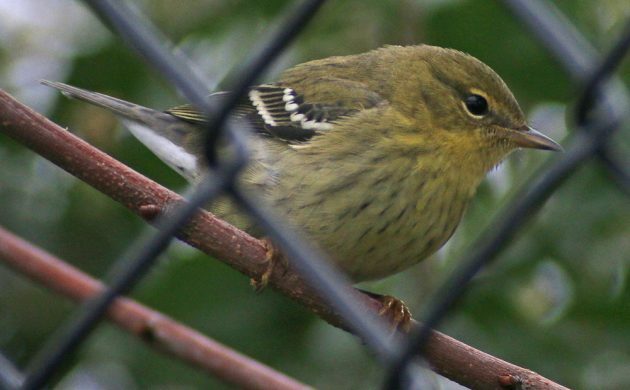 It’s hard to complain about an October day that nets over seventy species with ten of them wood-warblers! So cool to see fall warblers so close! Used to Bird a lot in my time, but since I’ve lost the use of a car, one eye, one hand, my balance (use a walker), my short-term memory, and leg strength, I can only enjoy the Aves vicariously…but ,boy, do you know how to enjoy it and share it, and give it to us. Thank you for your clear reporting, beautiful pictures, and enthusiasm. Brings it all back almost enough for me not to miss it too much. Bless you!